Learn this must-have fast dance! Hustle is a type of swing that has super easy footwork, exciting turns, and a style that goes to almost ANY fast music! Night clubs, cruises, weddings, parties, or anywhere there’s music with a strong beat, you can dance the Hustle! The turn patterns and whirling movements are exciting to watch, and even more fun to do! The Hustle is a great dance for beginners to start with because of it’s simple footwork and timing. Guys, you can even do this dance with ladies who “don’t know how to dance”! Our beginner Hustle Course will start from the ground up and show you footwork, timing, dance position, and the core basic steps you need! Your two left feet will be a thing of the past and you’ll actually be able to grab a friend or date (or anyone!) and dance! Once you’ve seen how fun, easy, and versatile the Hustle is, you’ll be chomping at the bit for more! Well, here you go! 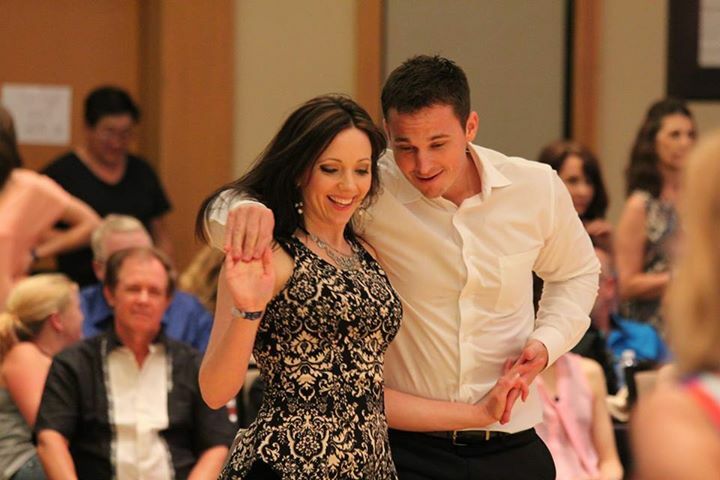 The intermediate course is the next step in your journey to becoming an amazing dancer! This Course will give you more variety and confidence, building on the foundation you already have to give you flirtatious new moves to add to your dance arsenal! In Advanced you’ll become the dancer you’ve always wanted to be! You’ll increase your style and confidence as you get a slew of fancy new moves and improve your footwork, spins, and styling!